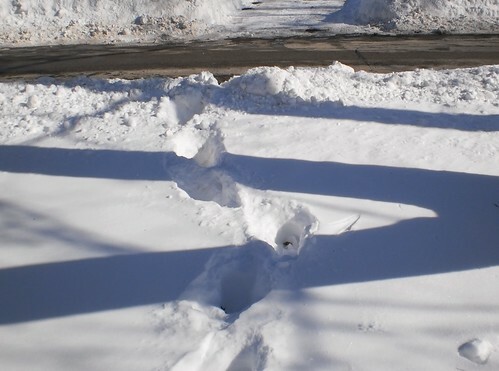 As I told myself last night when falling asleep, the sidewalk wasn't that far away and I could certainly reach it in an hour and a half of shoveling. I did. There was brilliant blue sky and bright sun to shovel this morning although it's clouding up as I type this. It's getting harder to toss the snow even as the snow depth is going down. 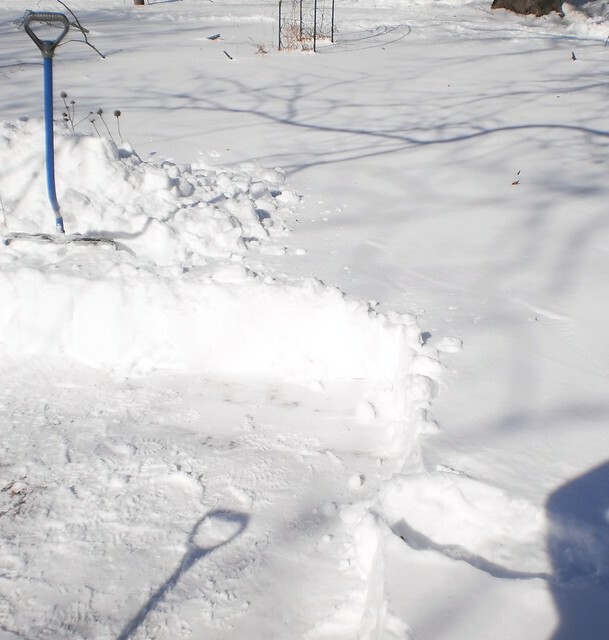 My back and right shoulder tend to protest about an hour into the shoveling. But where I ended today is close to the end. 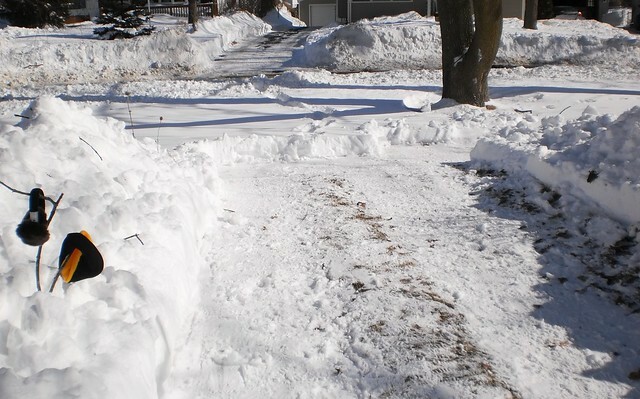 This afternoon's shoveling should halve the distance to the street and tomorrow will just be breaking through that mound heaped by the plow. I shoveled a "nook" to store the recycling can for next week. It's off to the right. I doubt that I'll have the energy to carve a spot off to the side of the drive to put the recycling can or the garbage can so I will shovel a spot to take them Wednesday night. Then, I can pull out of the drive in the morning on Thursday and drag them into the drive. I don't anticipate shoveling the sidewalk any time soon. What I shoveled this morning is from my hat and ear muffs to the end you see. It's warm enough that I could take off the head coverings and not get chilled. I had some difficulty getting dressed this morning. 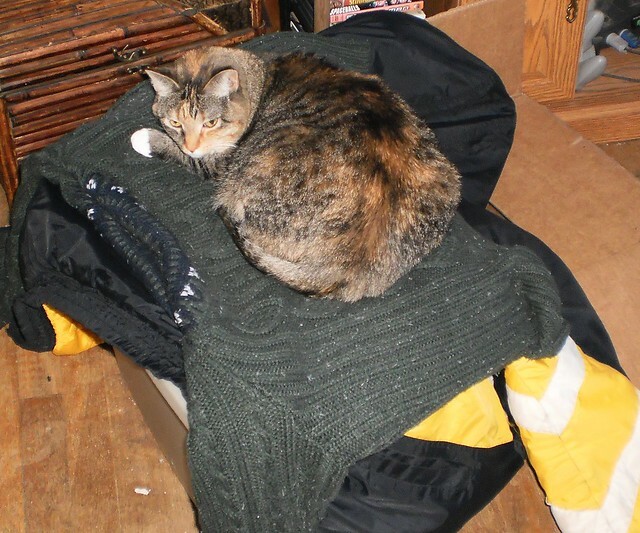 Both of them have been lying on the sweater since I came in yesterday afternoon. Maybe it's comforting? So, two hours of rest and I'm back at it.